In this sturdy, grounded, no-nonsense, and practical guide, the curious and committed can freely and safely explore modern-day shamanism. Shamanism, globally and historically available in indigenous communities, earns its place as a contemporary thread for healing a world in crisis. Incorporating these simple practices into everyday life, according to Sandra Ingerman, has healing results—for the individual, society, and the planet. 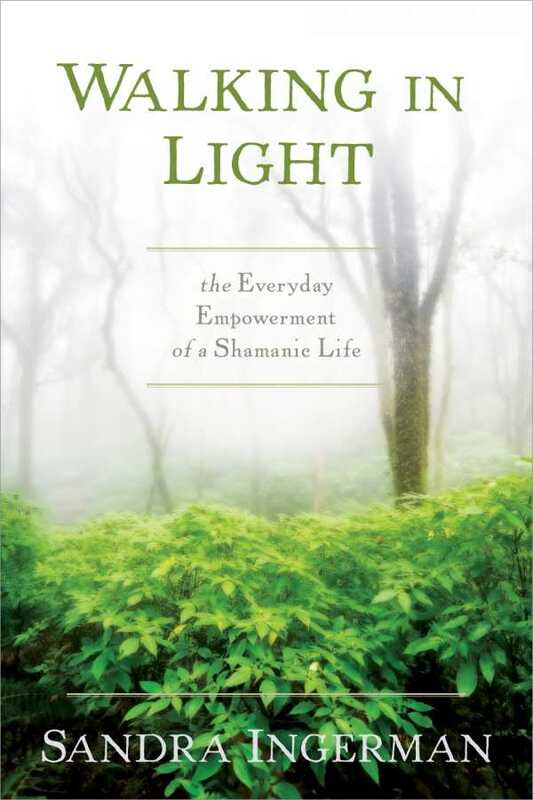 Ingerman, a leading voice in reviving shamanic practices, explores modern shamanism in Walking in the Light. A guided meditative practice opens the book’s six parts, each a doorway to a full sensory experience. The book outlines best practices for staying grounded, while simultaneously weaving the sacred into daily healing and personal development. Snippets from Ingerman’s experience, plus reports from students and clients, add depth and illuminate the path. The book starts with traditional practices, including journeying to connect with a power animal and with a guide. By the end, the result of Ingerman’s deep commitment to the shamanic path yields fresh, innovative journeys and insights. She invites her audience to tailor the exercises as they evolve their abilities, even as she continues to refine her shamanic practices. While skeptics may rail over shamanism’s seemingly malleable approach to reality, the practices have proven the test of time. They’ve also been shown to be efficacious through the scientific method; references are included in the endnotes. A wealth of innovative, visionary experiences developed via Ingerman’s shamanic immersion over decades of teaching and journeying supports and engages seekers to heal and grow. “It is who we become that changes the world, not what we do,” is very much the credo of shamanism. To empower that becoming is the goal of this book.